21 countries agree to form Asian bank to rival World Bank, and IMF. The backers of the bank include China and India. The Asian Infrastructure Investment Bank (AIIB) was officially launched Oct. 24 in Beijing. The bank is China's brainchild and will be headquartered in Beijing with at least $50 billion in capital to start (much of it coming from China). Twenty other countries signed a memorandum Oct. 24, including India, Thailand, Vietnam, and the Philippines. Notable absences from the bank include Australia, Japan, Indonesia and South Korea. The U.S. has questioned whether the AIIB will meet international transparency standards. The fund is seen as a "soft power" move by China, meant to rival Western-backed funds including the World Bank, IMF and the Asian Development Bank, which operates out of the Philippines. Oct 24, 2014 (Reuters) - Australia, Indonesia and South Korea skipped the launch of a China-backed Asian infrastructure bank on October 24th as the United States said it had concerns about the new rival to Western-dominated multilateral lenders. China's $50 billion Asian Infrastructure Investment Bank (AIIB) is seen as a challenge to the World Bank and Asian Development Bank, both of which count Washington and its allies as their biggest financial backers. China, which is keen to extend its influence and soft power in the region, has limited voting rights in these existing banks despite being the world's second-largest economy. The AIIB, launched in Beijing at a ceremony attended by Chinese finance minister Lou Jiwei and delegates from 21 countries including India, Thailand and Malaysia, aims to give project loans to developing nations. China is set to be its largest shareholder with a stake of up to 50 percent. Indonesia was not present and neither were South Korea and Australia, according to a pool report. Japan, China's main rival in Asia and which dominates the $175 billion Asian Development Bank along with the United States, was also not present, but it was not expected to be. Media reports said U.S. Secretary of State John Kerry put pressure on Australia to stay out of the AIIB. However, State Department spokeswoman Jen Psaki said: "Secretary Kerry has made clear directly to the Chinese as well as to other partners that we welcome the idea of an infrastructure bank for Asia but we strongly urge that it meet international standards of governance and transparency. "We have concerns about the ambiguous nature of the AIIB proposal as it currently stands, that we have also expressed publicly." 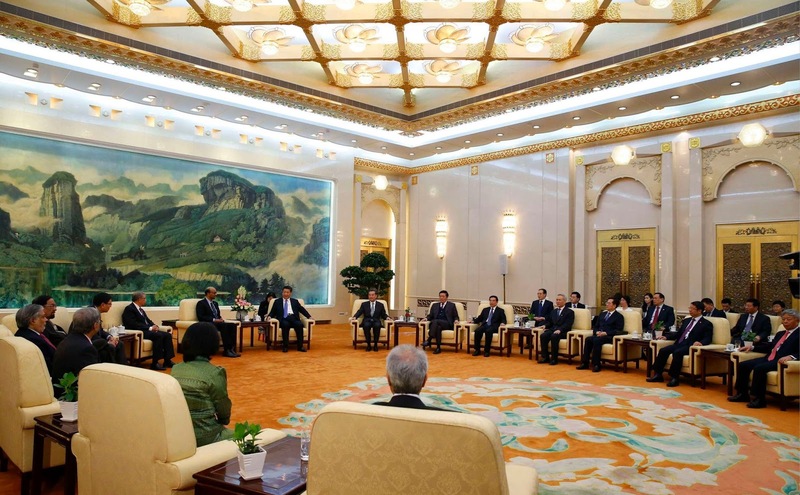 "For the AIIB, its operation needs to follow multilateral rules and procedures," Xi said. "We have also to learn from the World Bank and the Asian Development Bank and other existing multilateral development institutions in their good practices and useful experiences." "Australia has been under pressure from the U.S. for some time to not become a founding member of the bank and it is understood Mr Kerry put the case directly to the prime minister when the pair met in Jakarta on Monday following the inauguration of Indonesian President Joko Widodo," the paper said. South Korea, one of Washington's strongest diplomatic allies in Asia, has yet to say it will formally participate in the bank. Its finance ministry said last week it has been speaking with China to request more consideration over details such as the AIIB's governance and operational principles. "We have continued to demand rationality in areas such as governance and safeguard issues, and there's no reason (for Korea) not to join it," South Korean Finance Minister Choi Kyung-hwan said in Beijing on Thursday after attending a separate regional meeting. The Seoul-based JoongAng Daily quoted a South Korean diplomatic source as saying: "While Korea has been dropped from the list of founding members of the AIIB this time around, it is still in a deep dilemma on what sort of strategic choices it has to make as China challenges the U.S.-led international order." The memorandum of understanding signed on Friday said authorised capital of the bank would be $100 billion and that the AIIB would be formally established by the end of 2015 with its headquarters in Beijing, state news agency Xinhua said. "I hope the new bank will adhere to these standards," Nakao told Reuters in a phone interview. He acknowledged there was an overlap of the AIIB's role with that of the ADB. "But again, because of very big financing needs of the region it is understandable to have a new idea of establishing a bank," Nakao said, adding: "We will consider the appropriate collaboration after it is really established." China pushed ahead with the creation of its proposed $50 billion Asia regional bank by signing a memorandum today with 21 countries, which didn’t include South Korea (005930), Australia and Indonesia. The proposed Asian Infrastructure Investment Bank (AIIB), first put forward by Chinese President Xi Jinping in October last year, is a key component of China’s efforts to expand its regional influence. The bank, a potential rival to institutions such as the Asian Development Bank, has been opposed by the U.S., which has asked its allies not to participate, the New York Times reported earlier this month. The 21 “prospective founding member countries” at the signing ceremony included India, Vietnam, Singapore, Qatar, Thailand, Mongolia and Myanmar, according to a pool report of the event. 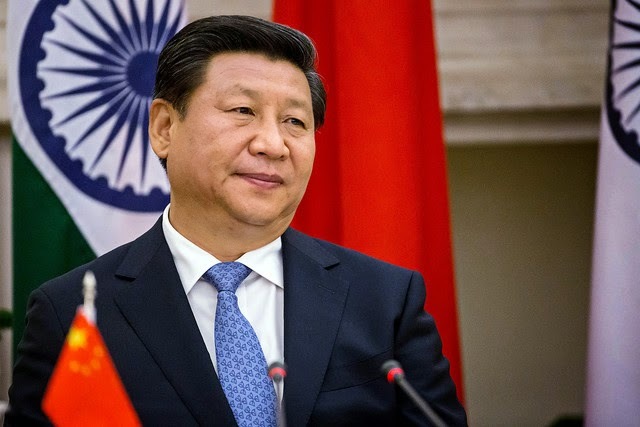 Xi told delegates from the countries that all Asian nations “understand the importance of seeking strength through unity” and the AIIB will welcome participation by all countries either from within or outside of Asia. China, with $4 trillion in foreign exchange reserves, is adopting a “two-leg approach” to grow its own multilateral bodies, including the AIIB, the BRICS Bank and a bank for the Shanghai Cooperation Organization, while seeking to strengthen its voice at the World Bank and the International Monetary Fund, said Jin at Renmin University. South Korea and Australia attended preparatory talks for the regional bank last month, according to a photo of a meeting on the Chinese Ministry of Finance’s website. U.S. Secretary of State John Kerry requested at a meeting with Australian Prime Minister Tony Abbott in Jakarta this week that Australia not join the bank, the Australian Financial Review reported. China has held at least five rounds of discussions with interested countries on setting up the lender, according to the China’s finance ministry’s website. At a press conference closing an Asia-Pacific Economic Cooperation finance ministers’ meeting in Beijing this week, Chinese Finance Minister Lou Jiwei said the AIIB’s focus on infrastructure development in the region will supplement existing agencies, including the ADB and the World Bank, which lean toward poverty reduction. ADB President Takehiko Nakao said establishing the AIIB was “understandable” given Asia’s huge infrastructure funding needs, and that the ADB would be ready to consider collaboration. Japan has held the presidency of the ADB since the institution was founded in 1966. “It is vitally important that AIIB adopt international best practices in procurement and environmental and social safeguard standards on its projects and programs,” Nakao said in a statement on the ADB’s website. At the ADB, Japan and the U.S. are the two largest shareholders, with 15.7 percent and 15.6 percent, respectively. Those two countries have combined voting power of almost 26 percent, compared with China’s 5.47 percent, according to the bank’s website.